So, it’s all about reading speed, right? Wrong! It’s about reading faster with good comprehension. We have a little hang-up on the term “Speed Reading” since it’s often associated with extreme speeds. To us, that’s not what it’s about. Below is a quick discussion to help explain our view on Speed Reading. Speed Reading is the process of reading more quickly and involves being able to read and process multiple words at a time instead of moving word-by-word. What is a slower reader doing differently than a faster reader? Obviously, some people read faster than other people. Reading is a sophisticated, asynchronous process between your eyes and your brain. Faster readers are reading and processing small groups of words at a time instead of moving word-by-word. They are minimizing subvocalization (pronouncing each word in their mind as they read). They are minimizing regression (re-reading). As your eyes scan across a line of text, they start and stop at what are called fixation points. Faster readers fixate at fewer points on each line and absorb information from more than one word at a time. As faster readers’ eyes sweep across a line of text, they can move their eyes faster from one fixation point to the next. Faster readers also process text faster at each fixation point. As you can see, there are many things going on while you read. Fortunately, you don’t need to think about all these things when training with AceReader. AceReader flashes text in a variety of display modes, and it paces you to read at higher speeds relative to your Base Reading Speed determined from reading comprehension tests. It will help train you to have proper eye movement for reading. 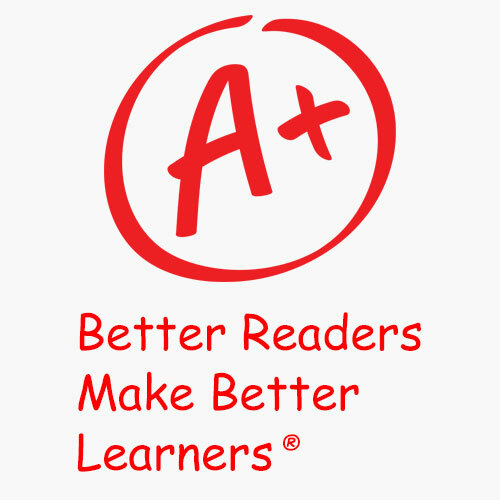 Some teachers refer to AceReader as a reading exercise machine that paces you to read for the purpose of becoming a faster and better reader – analogous to a treadmill that paces you to run for the purpose of becoming a better, more fit runner. Skimming and scanning are not Speed Reading, but they’re still valuable skills. Skimming is a process of quickly glancing at key sections of the text, such as the first and last paragraphs, first and last sentences of paragraphs, and key words to get a general idea of what the article is about. Scanning is a process of searching for specific answers to specific questions. These techniques can be very useful if you are just trying to get the general idea of what the reading is talking about or if you are searching for a specific answer. It can also help to Skim and Scan text before diving into a deeper read. Speed Reading is not necessarily something you will always want to do. For example, if you are reading a poem, or something for pleasure, you will typically want to slow down while you are reading and taking in descriptive details. You may also not want to Speed Read over certain technical material or reading material that has new and unfamiliar vocabulary. However, much, if not most, of what you read on a daily basis is well suited for Speed Reading. It can be crucial for school, test taking, and information gathering. Other examples of when it becomes appropriate to Speed Read are when you are reading the newspaper, your emails, or articles on the Internet. Can people learn to Speed Read? Yes, but we think it’s important to understand what we mean when we say "Speed Reading." For us, it’s simply a matter of improving your reading speed while maintaining good comprehension, and it’s not a matter of reading at any specific speed. As stated above, some people are able to naturally read much faster than other people, but most of us need to train to become more efficient readers. Conservatively speaking, with proper training, you can expect most students to improve at least 20% to 40% in their speed while maintaining good comprehension – this translates to saving 15 or more minutes per hour of reading. Some people will improve more (i.e. doubling and tripling their reading speeds). Other people may only improve a more nominal amount. In our opinion, any improvement is well worth your effort since it’s such an important skill that everyone uses every day.